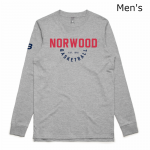 Buy your official Norwood Basketball Club merchandise from our online store! Our after school basketball competition at the ARC. 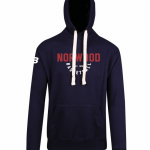 Check out the latest scores, results and fixtures for all Norwood Junior Teams. The latest scores, stats and results from our Premier League Men's and Women's teams. Receive all the latest news, club information and sponsorship updates via email. Get out to the ARC today for this huge ANZAC Day clash. 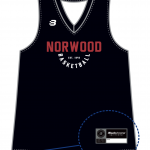 Norwood Basketball Club Inc shared a post. Congratulations to Norwood Junior Player Matthew Thomson on his selection to attend the selection camp for the Under 16 National Teams in May. Well done Matt 🔥SA Country Basketball will be represented well at the upcoming selection camp for the Under 16 National Teams in May, with 3 SAC Athletes attending. Congratulations to Riley Smelt (Murray Bridge), Matthew Thomson (Yorke Valley), and Bianca Stasinowsky (Riverland) on being selected to attend the 3 day camp at the Basketball Australia Centre of Excellence early next month. The athletes are part of a 22-person invite only camp, and are aiming to be selected for the Australian team competing at the upcoming 2019 Asian Championships. All 3 of the selected SA Country Athletes have been a part of the SAC development pathway from the Under 13 Talent Identification Camps and Development Tournament, right up to representing SA Country at a National Championship. Riley and Matt have each competed in 3 National Championships for SA Country, and have been selected off the back of an outstanding U18 campaign earlier this month where they were the leading and second leading scorers in the SA Country team respectively, an impressive effort for bottom age players at a National Championship. Bianca is one of the few bottom age players to make the selection camp, an impressive accomplishment! Bianca represented SA Country at the 2018 Under 16 National Championships as a bottom age player, and will be representing SA Country at the 2019 Under 16 Nationals in Darwin in July.